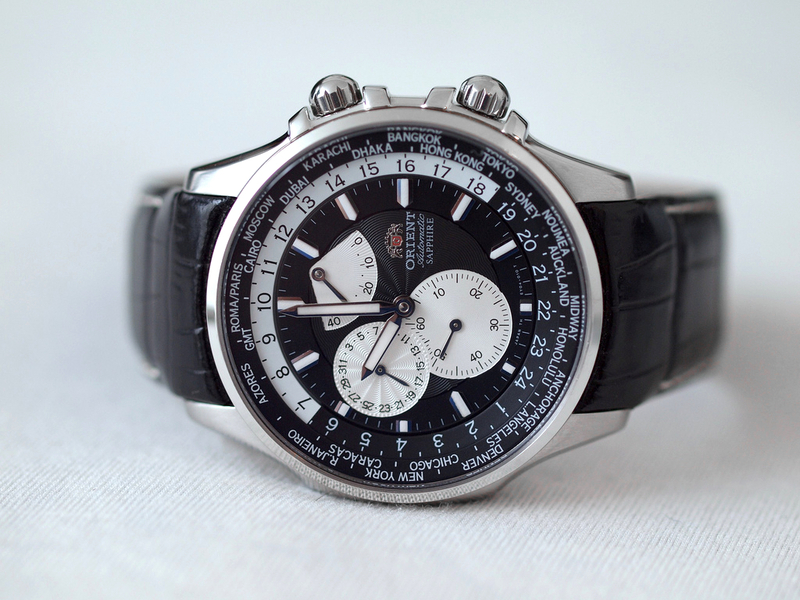 The Executive Worldtime Power Reserve is one of Orient’s most unique and appealing timepieces. It features a mechanical self-winding movement with a dual internal bezel worldtime indication, including a day/night function, and a convenient power reserve indicator. 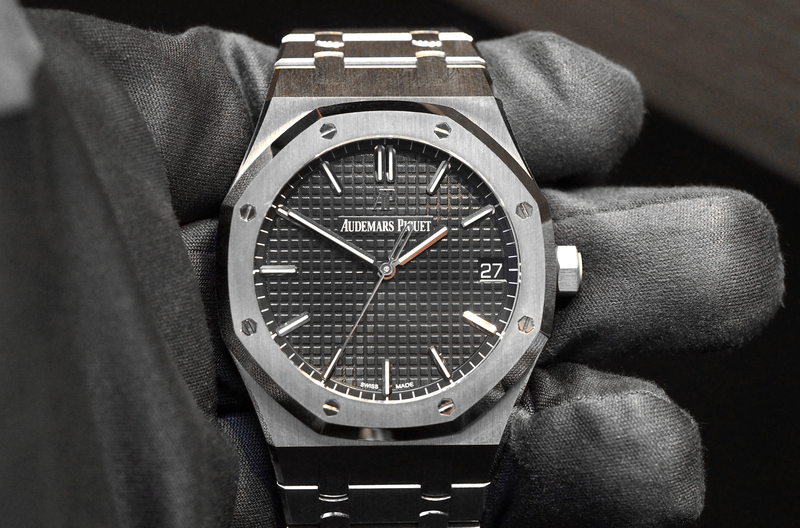 The stainless steel case (43 mm x 12.8 mm), features brushed and polished accents. The dial has a small seconds display at 6 o’clock, a date wheel at 9 o’clock and a power reserve indicator at 12 o’clock. The dial is black and white, with three different guilloche patterned designs. A crown at 2 o’clock adjusts the outer most internal worldtime city display (bidirectional internal bezel). The lower crown, at 4 o’clock, adjusts the time, date and inner most worldtime hour display (bidirectional internal bezel). 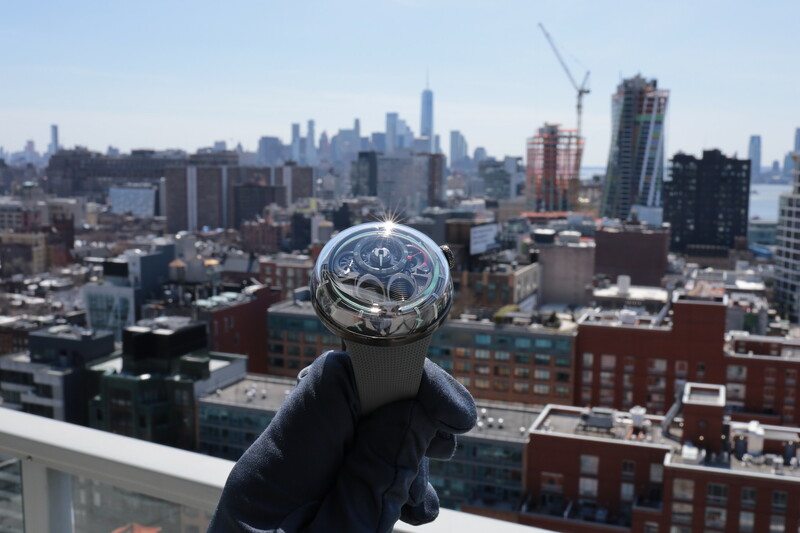 These bezels allow you to simultaneously view times around the world, including if it is day or night. This is definitely a useful function, especially if you do business internationally. Something that you usually don’t see in this price range is a clear caseback. It is a really nice touch and allows a nice view of the automatic mechanical Orient movement (Japanese made). The movement doesn’t have a lot of finishing, but it is at least worthy of an open back. 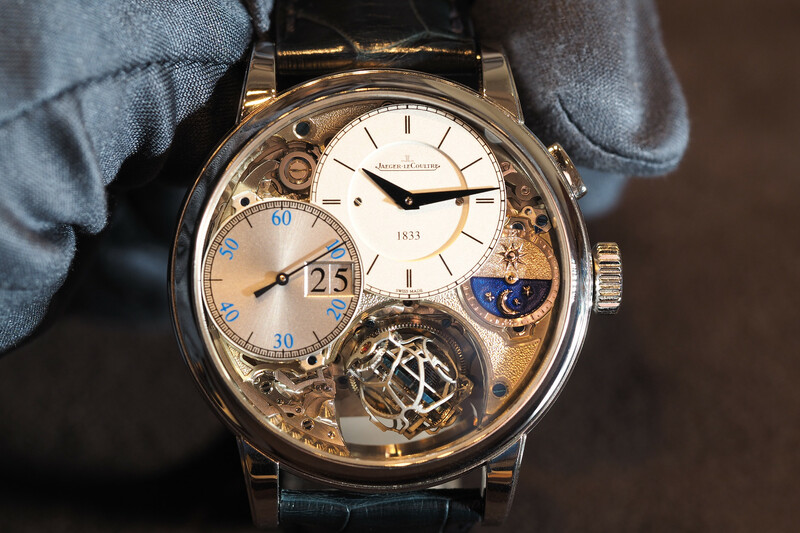 A sapphire crystal is used for the dial side and a mineral crystal is used for the caseback. You can choose a stainless steel bracelet and clasp or an alligator strap and clasp (shown). I personally like the alligator strap, as it looks and feels good, and is very easy to take on and off. The caseback and crown are screwed-in, providing a water-resistance of 100 meters).